We have entered in to a new era of investment where everyday investors can go online with a small amount of money and invest in commercial real estate. On a recent show, I spoke with Ben Miller, CEO of Fundrise and Jilliene Helman and Chuck Taylor of Realty Mogul about the increased flow of capital from investors to sponsors of online real estate online. “Booming investments in real estate are leading the way among equity-crowdfunded projects, which rose to $662 million in the first quarter of 2015, a big jump from the $483 million recorded in the final quarter of 2014”, reported CNBC. “It’s interesting that in response to the recession, Congress and the president did something unusual which was to agree on something,” Miller joked. What they agreed on was that they needed to change the regulations around fundraising and they passed those under the JOBS Act, which was signed into law in April of 2012. “The JOBS Act is designed to encourage small business and startup funding by easing federal regulations and allowing individuals to become investors,” according to Forbes. The law basically changed how you can raise money, and in particular, allowed the Internet to become a tool for fundraising. Prior to 2012, it really wasn't practical—or legal—to use the Internet to raise money. Before the JOBS Act, the technical language was you had to have a pre-existing material relationship with someone you knew was “high net worth” in order to ask them to invest in a deal. Simply put, there are two types of investors: Accredited and Non-accredited. Accredited: Someone considered to be high net worth because of income of $200,000+ annually or minimum assets of $1 million. For years, the SEC has required very little regulation from high net worth investors since they are considered sophisticated and can afford losses, said Miller. “The problem with that is that’s just not how the Internet works,” he said. And so, the investment model is changing with the JOBS Act. In October of 2015, the SEC “voted on and passed rules to implement Title III of the JOBS Act, bringing non-accredited investors into the fold for equity crowdfunding”, according to Forbes. Title III simply means anybody is now allowed- not just institutional or high net worth investors- to have access to this new class of investments, which is an online real estate investment class. Both Title III and Title IV basically create mechanisms for anybody to be able to invest into an online investment like real estate, said Miller. Jillienne Helman, founder of Realty Mogul, agrees that crowdfunding is in its infancy but not all crowdfunding is created equal. 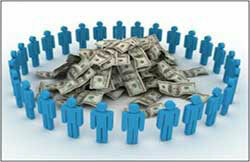 There are different types of crowdfunding platforms, she explains. 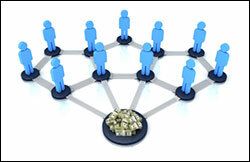 Some offer open platforms where any type of investment can be posted on the website. Others, like Realty Mogul, operate what Helman calls “a curated platform”, meaning they underwrite all of their transactions before going live on our website and are very involved for the life of the transaction. Realty Mogul only deals with accredited investors. They currently have over 20,000 accredited investors and have financed almost $200 million in transactions. Not only are there different types of investors and crowdfunding platforms, there are different types of investments as well. Fundrise has a preferred equity product. “We, for various reasons, we prefer kind of a debt-like product. So senior debt, mezzanine debt or preferred equity (that's basically like mezzanine debt in that it has a fixed return that’s senior to real equity and it has a maturity date),” said Miller. Fundrise has a helpful glossary which explains these types of loans. Miller feels that the equity investment deal fills a gap in the market. “From an asset management point of view, it’s a lot easier, a lot less burdensome to asset manage debt products than it is to asset manage true joint venture equity. So, one of the reasons we chose this product is we found that it let us move faster and do more high-quality deals because if you’re a joint venture equity real estate developer you really have to be active as an asset manager. It’s hard to do that if you're doing a lot of deals.” Fundrise averages about a deal a week and has closed over 100 deals. A lot of real estate companies want to own an asset for the long-term, they don’t want to have a joint venture equity partner where they lose a lot of control. For example, in a $20 million deal, the senior lender might put up $15,000,000 (75%), Fundrise would put in half of the equity ($2.5 million), and the remaining $2.5 million comes from the developer (or developer and their friends and family). In this case, Fundrise is senior on the equity side but with a fixed return, maybe just 13%. So, the preferred equity product is a hybrid product that gives investors high-yield returns and gives developers more long-term control of their deal. In this way it’s similar to a “mezz” (mezzanine) investment but without a lot of the burdens you see with mezz, said Miller. “Being on the full capital stack is really important to us,” said Helman. In a recently closed transaction of an apartment building in North Carolina, Realty Mogul was 92% of the capital stack. They wrote the first mortgage (Approximately $7-8 million) and they also did the equity in the transaction. “The debt was purchased by an institution as a whole loan and the equity was syndicated through our online platform to private investors. It a great execution of showing that different segments of our marketplace and different segments of our crowd are interested in different products,” she said. Miller compared real estate crowdfunding to private equity or commercial mortgage-backed securities. These industries both started in the early 90s and now each of those industries are about half a trillion to a trillion dollars in total assets managed. 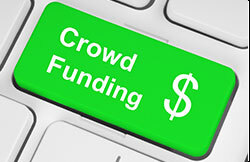 Miller said that in addition to creating a new asset class, in the next 10 to 15 years crowdfunding will become the dominant way people invest in and fund a real estate deal. “This is just the beginning,” said Helman. Fantastic Post! Thank you for taking the time to create it.